Governments of 11 European nations are providing subsidies totalling more than £80bn a year to fossil fuel industries, green campaigners have claimed. Transport fuels account for the lion’s share of the support to fossil fuels. Many of the 11 countries surveyed encourage drivers to use diesel as it produces less carbon per mile than petrol, despite the fuel’s effects on air pollution which is particularly harmful to children. For many years, governments had incentives to prioritise the use of diesel, as it helped them meet internationally-set carbon reduction targets. 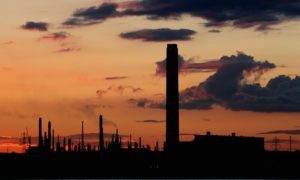 A substantial amount of the claimed subsidies are for fuels such as gas, which is viewed by many as a transition away from more carbon-intensive fuels such as coal. Taxpayer support for electric vehicles, renewable electricity and other low-carbon efforts were not counted in the study by the Overseas Development Institute (ODI). In the UK, diesel fuel is taxed by volume at the same rate as petrol. This taxation can favour the dirtier fuel because diesel cars travel further than petrol vehicles on the same volume of fuel. Half of the support provided to fossil fuels was targeted at low-income households, the report acknowledged. Such measures by governments are intended to protect people on low incomes from fuel poverty. Nearly €5bn of the overall support was provided in this way by the UK government alone.